Patricia Delinois, leading Real Estate mogul, will receive a Golden Quill Award from The National Academy of Best-Selling Authors at the Second Annual Best Seller’s Summit and Awards Gala. Patricia Delinois, CEO of Century 21 Premier Elite Realty recognized at the Second Annual Best Seller’s Summit and Awards Gala hosted by National Academy of Best-Selling Authors. The event took place on September 25-72, 2013. 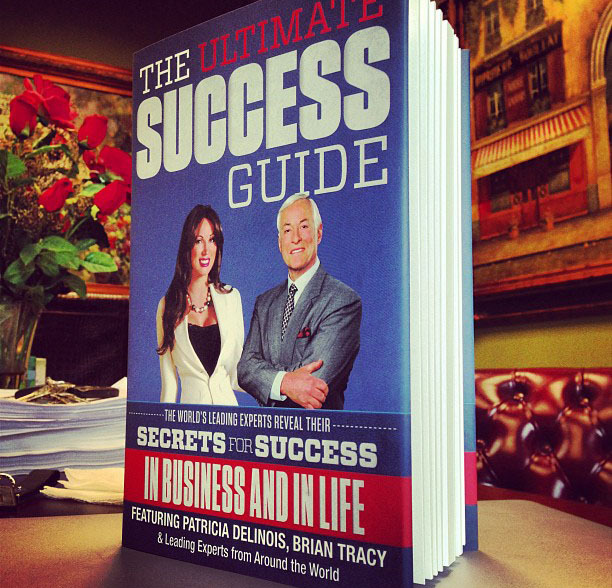 Patricia Delinois will be honored for becoming a best seller with the book “ The Ultimate Success” co-authored with legend Brian Tracy. Patricia Delinois recently hit five separate Amazon.com best-seller lists with the new book “The Ultimate Success Guide.” Real estate expert Patricia Delinois recently joined a select group of the world’s leading experts, along with noted business development expert, best-selling author and speaker, Brian Tracy, to co-write the book, The Ultimate Success Guide: The World’s Leading Experts Reveal Their Secrets for Success in Business and in Life. The Ultimate Success Guide features proven secrets and strategies that these successful leaders have employed to achieve success. As a guide, it is always useful to look at philosophies that successful leaders propose to move you towards your goal of success. Each author discusses his or her accomplishments for your guidance. Patricia Delinois contributed a chapter titled “Words of Wisdom From the King of Pop on Winning Clients Over Every Time!” She wrote about the time she spent with the legendary Icon Michael Jackson as a client. Patricia is the CEO of Century 21 Premier Elite Realty, with over 175 agents and offices in Miami Beach, South Miami and Coral Gables. Premier Elite Realty focuses its efforts on luxury residential and commercial properties. If that is not impressive enough, she is also the 2012 President for MIAMI Association of Realtors with over 30,000 plus members and the largest international council in the world. Patricia started in real estate at the age of 18. She admired her grandfather’s work in New York and California, buying these old hotels to rehabilitate, then turning them into these trendy, boutique resorts that became a haven for celebrities and those in “the know.” An artist at heart, Patricia loves the feeling of being able to create living art in the form of a residence. She also loves meeting people and dealing with all different kinds of personalities and cultures. This passion for working with and satisfying her clients has earned her a prestigious reputation in the field, such accolades that other realtors seek her communication advice on a daily basis. Patricia has served as a speaker on numerous Real Estate topics, lobbied for the industry on Capital Hill, and is very involved politically in RPAC. Patricia is a Real Estate TV Correspondent and recently filmed a segment on the soon-to-be released TV show www.THEREOSHOW.com, an interactive program featuring Florida Real Estate opportunities. She was named Broker of the Year in the South Florida BEST Awards, overseen by the BEST Board of Governors, comprised of representatives from the Builders Association of South Florida and The Miami Herald. Patricia Delinois was a Real Estate Expert on Style Network’s new Real Estate show, Hot Listings Miami. After such a successful release, Patricia Delinois will be recognized by The National Academy of Best-Selling AuthorsTM, an organization that honors authors from many of the leading independent best-seller lists.